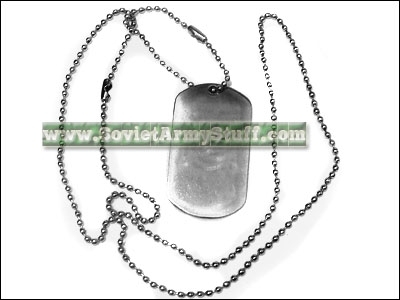 Communist Army Soldier Name Tag and Chain New, unused (blank) name plate. Made of steel. 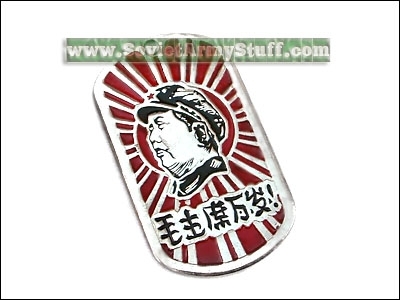 Size 5x2.7 cm (2 x 1 inches) Mao Zedong (December 26, 1893 – September 9, 1976) (also Mao Tse-tung in Wade-Giles, was a Chinese Marxist military and political leader and philosopher, who led the Communist Party of China (CPC) to victory against the Kuomintang (KMT) in the Chinese Civil War, and the Peoples Republic of China (PRC) from its establishment in 1949 until his death in 1976.